Since it first hit the market in 2011, millions of Americans have been prescribed Xarelto, a newer generation of blood-thinning drugs touted as an alternative to warfarin (Coumadin). But recently, healthcare experts have been questioning whether the clinical trial that led to the FDA approval may have been compromised by faulty equipment. Some patients who used Xarelto and claim to have been injured by the drug have filed lawsuits against Johnson & Johnson, the manufacturer. Legal counsel for these parties filed a legal brief in federal court recently that pointed to internal J&J memos that may suggest that doctors raised their concerns about the faulty testing device while Rocket AF was underway. The Rocket AF trial took place from 2006 to 2010 and involved over 14,000 patients around the world. This clinical trial was led by Dr. Robert M. Califf, who was recently nominated by President Obama to be the next head of the FDA. 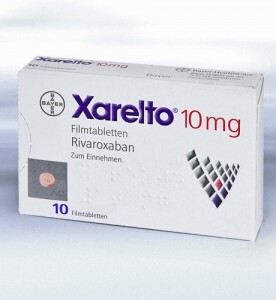 The Rocket AF trial, formally known as the Rivaroxaban Once Daily Oral Direct Factor Xa Inhibitor Compared with Vitamin K Antagonism for Prevention of Stroke and Embolism Trial in Atrial Fibrillation, was first presented to the American Heart Association (AHA) in 2010. At that point, the clinical investigators presented evidence from the trial to demonstrate that Xarelto (rivaroxaban) was “non-inferior to warfarin in terms of stroke and non–central-nervous-system (CNS) embolism,” according to Medscape. Specifically, Xarelto was not shown to be superior to warfarin in intention-to-treat superiority analysis, but it was shown to be superior to warfarin in an on-treatment superiority comparison. 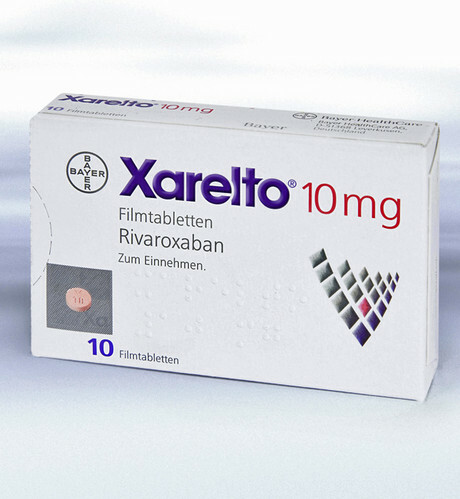 In the latter analysis, Xarelto was said to reduce the risk of stroke and non-CNS embolism by 21 percent, compared to warfarin, which researchers consider to be a statistically significant difference. In its investigation, the FDA is taking a look at whether Xarelto may have wrongly been given an advantage over warfarin because of the malfunctioning testing device, the INRatio sold by Alere. The testing device was used during the trial to determine whether patients were getting an appropriate dosage of warfarin. If patients were given the wrong dosages of warfarin, then these patients may have displayed a higher number of bleeding events compared to Xarelto. In December 2014, the FDA issued a class I recall notice for the INRatio device. In the recall notice, the FDA noted that the agency had received 924 reports of device malfunctioning. The recall notice also pointed out that the device’s readings may be incorrectly lower for patients who had certain medical conditions, including abnormal hematocrit levels, conditions associated with higher fibrinogen levels, and bleeding or unusual bruising. In one analysis, investigators took a closer look at Rocket AF study participants and found that 37 percent of the patient population had been diagnosed with at least one of the qualifying medical conditions. The subgroup of study participants who did not display any of the recall conditions and who took warfarin had similar rates of all types of bleeding events combined as compared to the subgroup that used rivaroxaban without recall conditions. For the subgroups that did display recall conditions, bleeding rates were higher overall; however, there was “a trend toward a higher relative risk of major bleeding with rivaroxaban than with warfarin… something that wasn’t found in those without any recall condition,” according to Medscape. The researchers who conducted the analysis concluded that the results did not signal statistically significant concerns and that the original clinical trial results may still apply. However, the researchers also decided that this avenue of investigation is worth further consideration; they are currently conducting additional analyses pertaining to possible Xarelto side effects.